These April showers are awful, let's skip straight to May flowers. I'm pretty sure this is the happiest dress I own. You know what they say, dress the part...right? We are so close guys, can you feel it? I can! 65 and sunny are mere moments away. Totally not leaning toward my window in longing as I type this, nope...not happening. 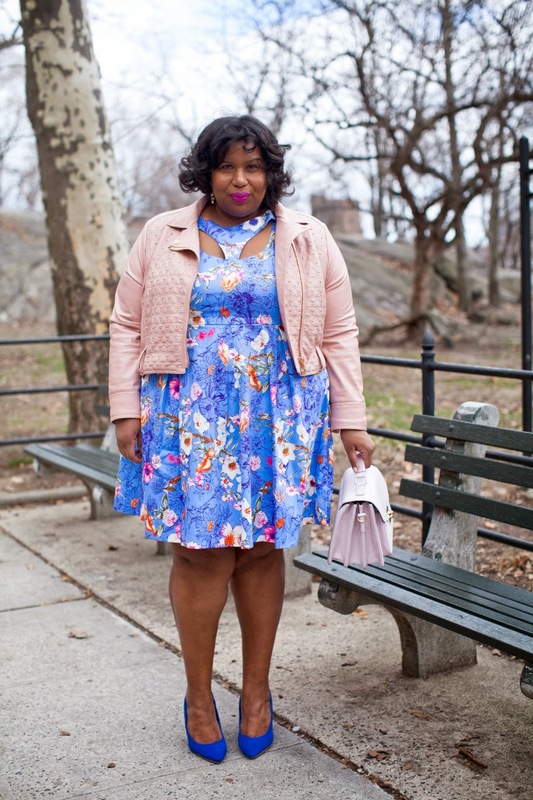 Flirt florals are always a yes in my book. Especially on a cool silhouette. 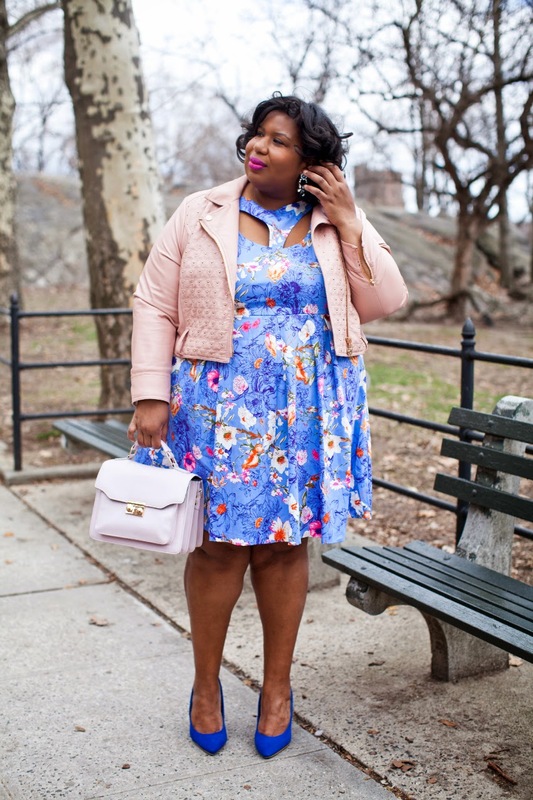 The all of the pieces I've tried from the new Eloquii have been pretty amazing. I'm pretty impressed. This dress is woven with just a tiny bit of stretch. Just enough to be able to move around comfortably. 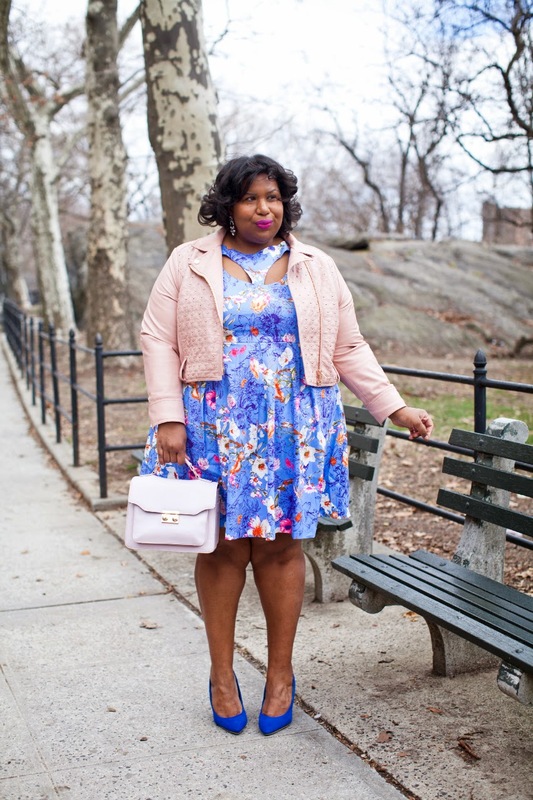 Hey plus size fashion industry, more woven pieces please! I mean, I love being swaddled in cozy jersey as much as the next gal but everything can't feel like pajamas. Did I just say that? I guess I did. The thing is, structure adds polish- it just does.